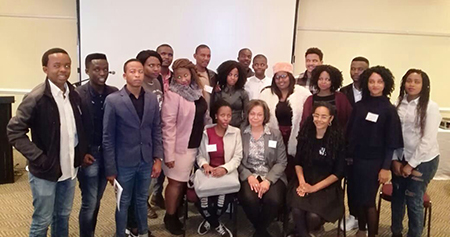 The main aim of the NWU’s involvement in the programme is to increase the clinical and research skills of South African post-bachelor, master’s and doctoral-level students and of early career mental health professionals. The Tirisano training programme is a collaborative training programme between the University of California (UCLA) and several South African universities and institutions, including the University of Cape Town (UCT), Stellenbosch University, the Human Sciences Research Council, and the NWU. The TTP was developed by the Fogarty International Centre after recognising the need for collaborative research training programmes between the United States and institutions in low and middle-income countries that focus on chronic non-communicable diseases (NCD). “Guided by a multi-dimensional conceptual model of risks and resilience resources, trainees are provided the tools to develop and test novel models and methods to implement effective substance abuse and mental health interventions within the South African context,” added Prof Makhado. NWU students and staff members with staff from UCLA during the recent Tirisano Training Programme.